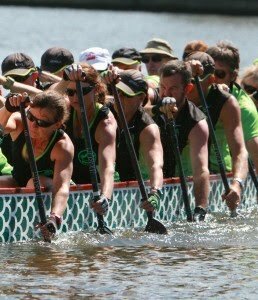 This Saturday 7th will see an unusual sight on the Huon River with up to 7 dragon boats taking part in the 32km Huon Challenge. With up to 20 paddlers per boat, that’s a lot of paddle action! The day starts 8am at Port Huon, then up to Huonville, with a Franklin finish.